I did this simple design on 12/21/2014. I went to a christmas gathering and was feeling festive. 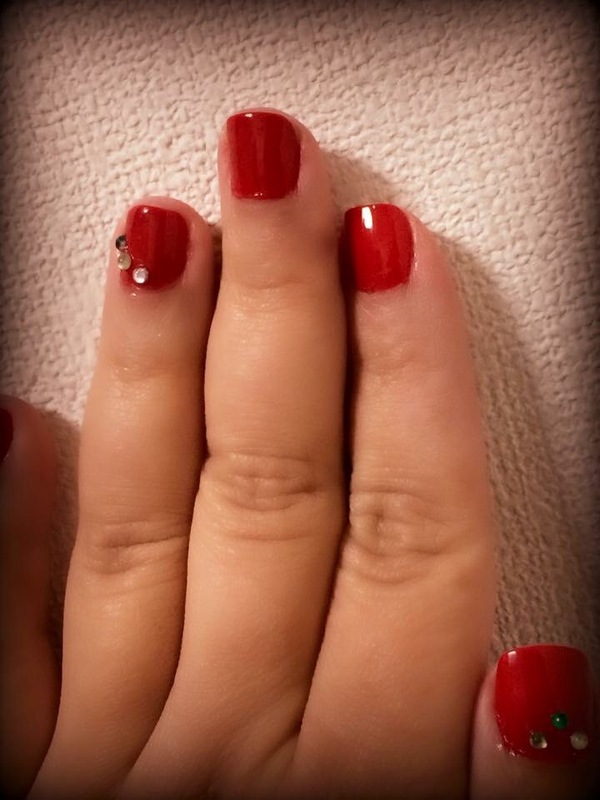 Just s basic red and then green gems on an accent finger!